Bulk buy discounts on all AAA rechargeable batteries. Click on any image to view price breaks for each product. Stay charged type AAA batteries from GP. Ideal for cordless phones, remote controls, solar lighting and many more devices. High quality and performance from a trusted brand. Superb quality & fantastic value stay-charged batteries from GP. Ideal in your digital camera, MP3 player, cordless phone. 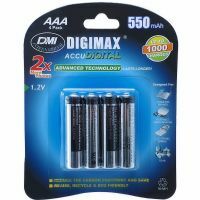 High capacity AAA batteries from Digimax perfectly suited for LED torches, cordless phones, MP3 players & remote controls. Ideal replacements for cordless phones, remote controls, solar lighting and many more devices. Excellent value from an established and trusted brand. 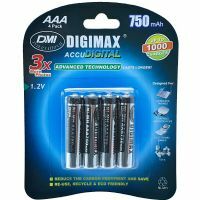 Digimax's AAA 750 mAh batteries. Ideal for frequently used devices such as cordless phones and used in many BT, Panasonic and Philips handsets. 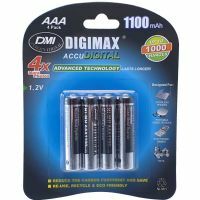 Digimax's 1000 mAh batteries are designed with high drain devices in mind. High capacity and high quality from Digimax. Ultra high capacity performance batteries from Extreme. Suitable for all high drain devices taking AAA batteries. High capacity and quality from Fujimax ideal for for LED torches, cordless phones, MP3 players & bluetooth headsets. Uniross Performance long lasting and high capacity 930 mAh batteries. Suitable for all medium to high drain and frequently used devices taking AAA batteries.